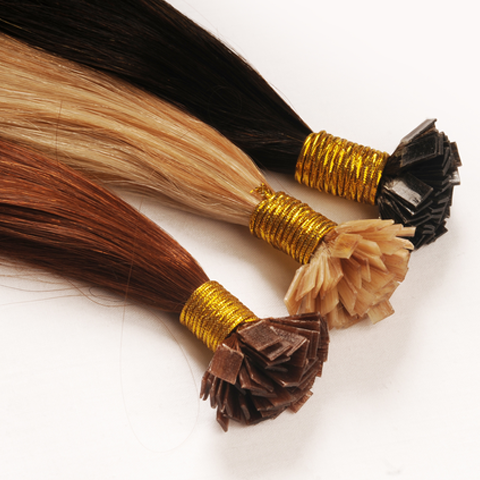 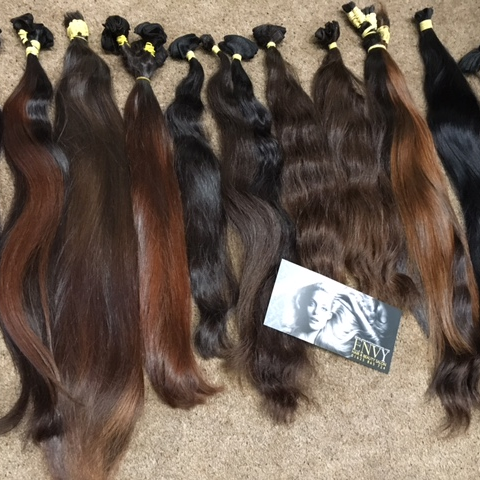 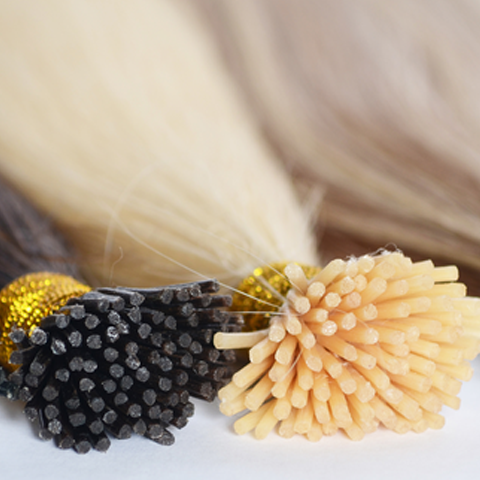 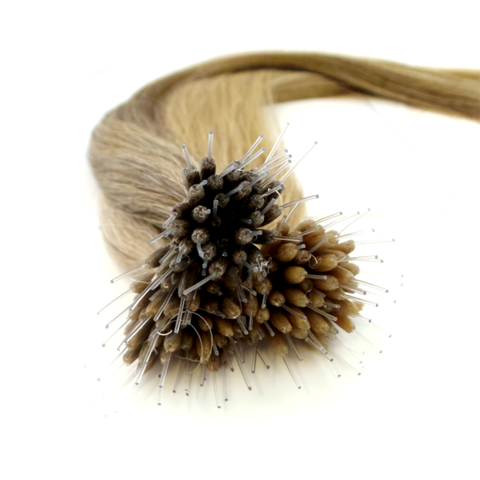 Established as a hair merchants, Wig makers and hair extensions specialist in 1997 means that We can assure you that we specialise in hair, especially Virgin Russian Hair and Superior Remy. 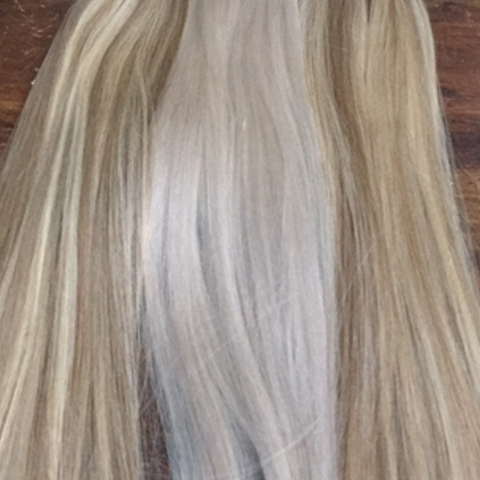 3/4 Head - Volume & Length - 100 grams Time to fit cut and style- approx 2.5 hours Will create more length and volume , natural looking. 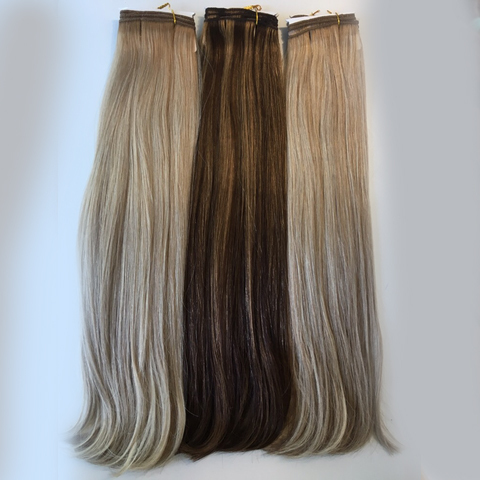 Full Head - Volume & Length - 150 grams Time to fit cut and style- approx 3-4 hours Creates a perfectly flowing natural full look, blend perfectly and gives enough volume to create layers if needed, Highlight and low lights can be added in extensions. 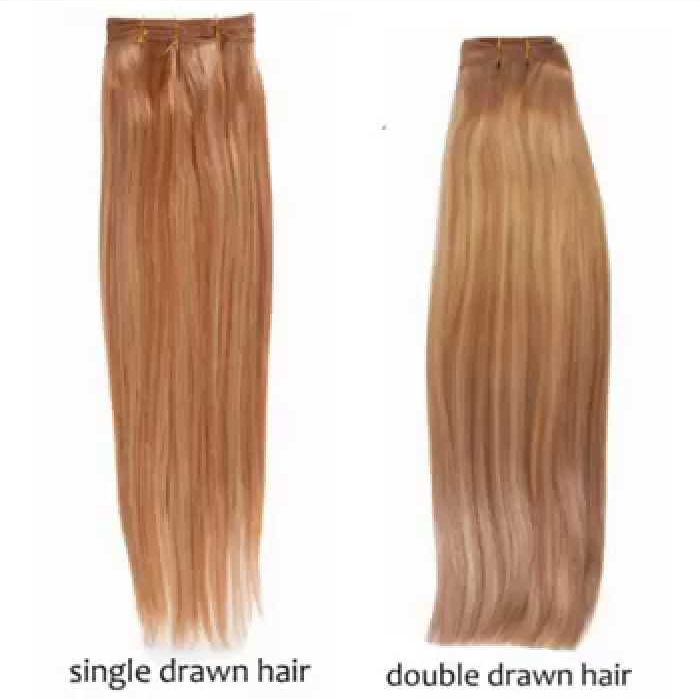 Extra Full Head - Extra Full Volume & Length - 200 grams Time to fit cut and style- approx 4 hours Creates ultra fullness and amazingly full length for a perfectly flowing fuller natural look, blends perfectly and gives enough volume to create many layers if needed, Highlight and low lights can be added in extensions. 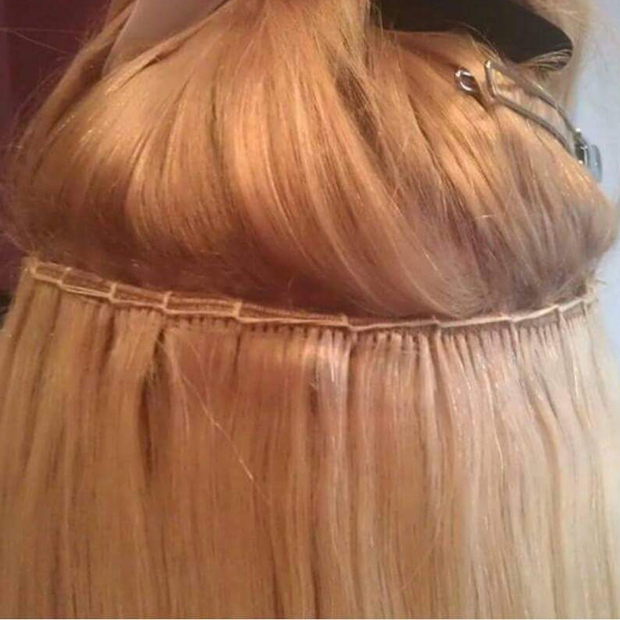 Time to fit cut and style- approx 1 hour 3 rows added for more volume and length and weft attached Will create more length and volume , natural looking. 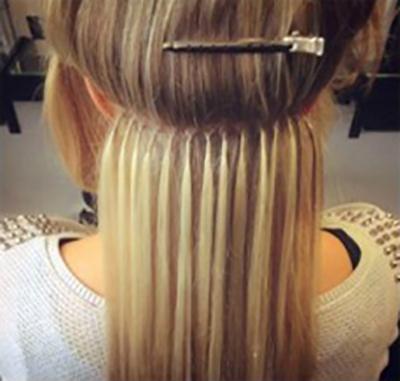 Time to fit cut and style- approx 1.5 hours 3- 4 rows added for more volume and weft attached Creates a perfectly flowing natural full look, blends perfectly and gives enough volume to create layers if needed, Highlight and low lights can be added in extensions. 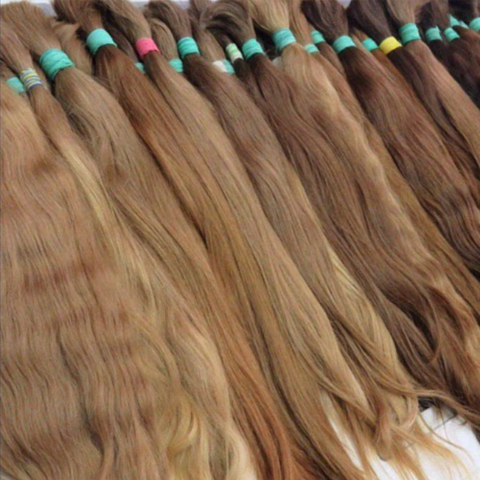 Time to fit cut and style- approx 1.5-2 hours hours 5 rows added for more volume and weft attached Creates ultra fullness and amazingly full length for a perfectly flowing fuller natural look, blends perfectly and gives enough volume to create many layers if needed, Highlight and low lights can be added in extensions.